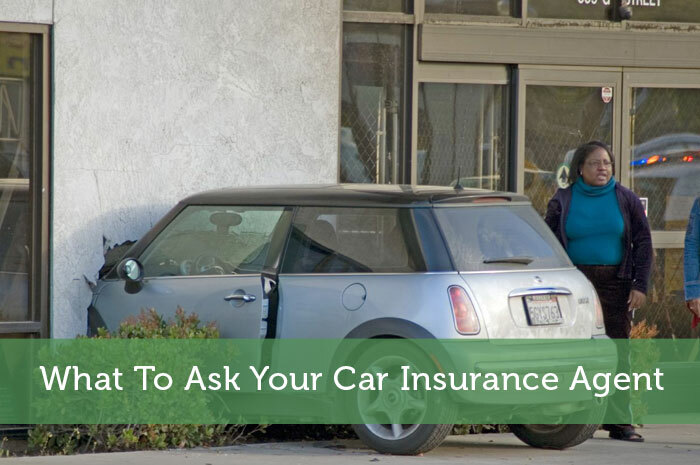 People who are purchasing their first car insurance policies are inexperienced on this subject, so it is understandable that they do not always know what they need to ask their car insurance agents. Without this knowledge, they can be susceptible to purchasing more coverage than they need or they may leave coverage behind that would be necessary in their situations. By reading this article, they will know exactly what they need to ask their car insurance agents so that they can obtain the best coverage for the lowest price. Qualifying for discounts can bring a person’s car insurance rates down a significant amount. Some people may be able to qualify for several at once, and they can see a huge portion taken off of their rates. They only need to know that they must broach this subject when they are discussing coverage with their agents because the agents will not necessarily tell them that there are discounts available for them. One example is the multi-policy discount. Some insurance companies sell policies for more than just car insurance and may have homeowner’s insurance as well. When clients of these companies purchase car insurance and homeowner’s insurance from one company, they can receive the multi-policy discount. Similarly, insuring more than one car will qualify them for the multi-vehicle discount. If a vehicle cannot be repaired for less than its fair market value, car insurance companies call it a total loss. Another way of stating this is to say that the car has been “totaled.” When this occurs, the car insurance company offers the client a sum of money to replace the vehicle. What these clients need to clarify before they sign the contract is exactly how much this will be. Damages resulting from a collision are covered under the collision insurance and damages resulting in any other way are covered by comprehensive insurance. When people purchase this type of coverage, they will have the option of choosing the actual cash value or the agreed upon value. With the actual cash value, the depreciation will be subtracted from the amount they receive for the car. People need to ask their insurance agents if they have the option of choosing the agreed upon value that they will negotiate every year when they renew the policy. The advantage is that the amount they agree upon at the beginning of the term will be the amount they receive regardless of the depreciation. Is Collision and Comprehensive Coverage Worth It? Collision and comprehensive coverage is excellent coverage for a newer, more expensive vehicle but owners of used cars may not benefit from it. This just may be another piece of information that the car insurance agent may not mention to someone new to buying car insurance. Adding collision and comprehensive coverage increases people’s premiums, and they will have to pay a deductible first. The deductible is the portion of the bill that the policyholders will need to pay before the car insurance company will pay the remainder. People often choose to pay a high deductible to help lower their car insurance premiums, and it can be as high as $1,000. If the vehicle has a low market value and the policyholder needs to pay $1,000 first, the car’s owner may not think that it was worth it to pay the premiums every year and the deductible to receive the $2,000 they will be entitled to if the car is ever totaled. In the above scenario, collision and comprehensive coverage may not be worth the price. What Is the Difference between Liability and Optional Coverage? Most states require that people purchase bodily injury and property damage liability coverage in case of a collision. The at-fault driver’s bodily injuries and property damages will not be covered. Even if the policyholders were not at fault and were hit by an uninsured driver, they will not be able to access their own liability coverage for payment of their medical bills and to have their cars repaired. Those living in states where coverage for bodily injuries and property damages caused by an uninsured driver is available will want to ask their agents about it. Unlike with collision coverage, a deductible will not apply and the coverage does not cost the policyholder as much to add to their packages. What Types of Parts Will Be Used If My Car Needs Repairs? When speaking with a car insurance agent, people need to ask them about the parts that will be used to fix their vehicles. If the car needs to be repaired, some car insurance companies choose to use generic parts or aftermarket parts because they are cheaper. What people will want to clarify is that their car insurance companies will use original equipment manufacturer (OEM) parts that are parts made specifically for their own cars. Some companies do allow for the use of OEM parts but others categorically refuse. Ask the agent to find out if OEM parts are a possibility or not. Author bio: Chris is an experienced internet marketer interested in key technologies to make your online business perform. During his career he worked for some of biggest Australian brands. Be careful when declining different types of coverage. Make sure you do a cost/benefit analysis specific to your situation and don’t use rules of thumb. Good point Lance. Some people live in more hazardous areas or just have a tendency to get into accidents. You have to take your own situation into consideration when deciding what insurance coverage is suitable. We went with liability insurance for many years simply because are cars weren’t worth enough to justify anything more. However, after buying a newer car a few months ago we decided to bump up the coverage to collision to protect ourselves. It’s funny you mention the OEM parts. There was apparently a class action lawsuit a few years back against one of the LARGE insurance companies. They’d claimed to be using OEM parts on repairs but that didn’t turn out to be true. Thanks for the free $60. Smart move to base your car insurance coverage on the value of your car. When your car isn’t worth much, the liability insurance is the important part. Our car insurance options are pretty limited here in BC though. Our provincial government runs it as a monopoly and kinda force stuff on us. That’s brutal about the insurance company lying about OEM parts. I bet whoever made that cost cutting decision regretted it when that lawsuit was announced. Basic advice I’ve heard on collision coverage is if the deductible is higher it’s worth, don’t get it. My car cost $500. If it got totaled, that’s all I’d be out. That would be pretty brutal to pay more for collision insurance than your car is actually worth. I wonder how many people end up doing that after a smooth talking insurance agent pressures them into it. I think everyone needs to add unisured/underinsured motorist coverages. So many people want to save money and go with state minimum liability coverages which aren’t even enough to replace a new car. If you have underinsured motorist coverage your insurance will pay if someone hits you and they dont have enought insurance to cover it. Fortunately we don’t have to deal with that decision here in BC since everyone is forced to get government provided auto insurance. So it is extremely rare that someone is driving around with no insurance or insufficient insurance to cover your own needs. Since it is one company running it all, they pretty much have to cover it all without trying to get the money from some other company. Another useful thing to ask about is how much excess you are likely to have to pay if you are involved in an accident, because this is not something that a lot of people consider. Yep, most people are too worried about how much they are paying monthly instead of thinking of the results of an actual accident. The wrong policy could force them to pay a lot more when that happens. My cars are both worth about $1,000, so i only have liability on each. I do have towing/fire/theft, though, and that has definitely come in handy. And it’s only like $2 a month. We also bundle our home insurance, so there’s a sweet discount there. We’re only paying about $70 a month for two vehicles. Wow that’s super cheap insurance. There’s no way anyone could pay so low for even just 1 car here in BC. Even the insurance to keep a car parked and undriven is probably more than that. We don’t have the option to combine home and auto insurance though. Gotta love that ‘accident’ picture! If you drive a cheap ‘disposable’ car, why pay for coverage on the vehicle replacement cost? Yeah I’m not sure how someone ends up parked inside a building wall like that. I guess someone mistook the gas for the brake. And no you don’t need replacement cost insurance on a cheap vehicle.